As the world achieved the Millennium Development Goal of halving poverty by 2015, developed and developing countries have focused more sharply on the tougher challenge of eliminating “extreme poverty.” In 2013, USAID initiated a dialogue within the development community about how to achieve this goal. The Trachtenberg and Elliott schools welcomed USAID to provide an update on progress and approaches to the problem of ending extreme poverty and encouraging continued discussion on Tuesday, January 27. Alex Thier, Assistant to the Administrator for the Policy, Planning, and Learning Bureau at USAID, shared an engaging presentation about USAID’s mission to end extreme poverty. 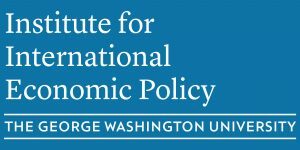 Following the presentation, GW Economics Professor Stephen C. Smith offered remarks on the ways GW is engaging this topic (view his slides here). The presentation, remarks and audience discussion were followed with a short networking reception for attendees.